This picture features me and my biggest inspiration, Mr. Unferdorfer, after five years of having him as a director in some form. 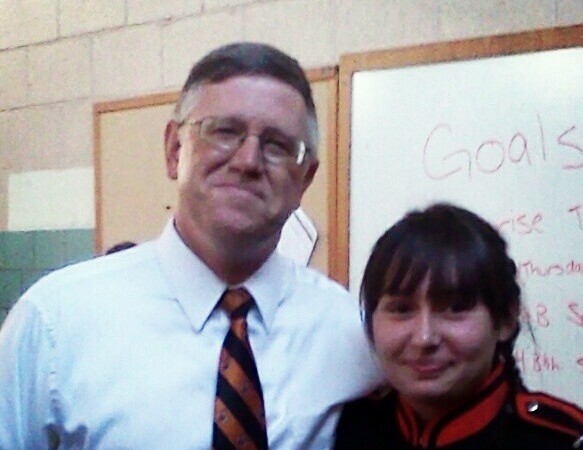 When I first met him on the first day of fifth grade band, I thought he was the scariest person I had ever encountered. However, as time went on, I realized that he was actually one of the kindest, talented, and most passionate educators I would ever have the good fortune of learning from. He instilled in me a love for music that continues to take me more and more places each day. Mr. Unferdorfer has touched the lives of countless students, selflessly working to ensure that each and every student he encounters is enriched by the end of his course. His sole purpose is to help students become as successful as possible in all their endeavors, and I personally could not be more grateful.